Photo of the week #82 – At the weekend I drove over to Beaconsfield to visit to a camera fair and, on my way home, I spotted this very tidy resto-cal 1964 beetle parked at the side of the road – so of course I had to stop to snap a quick photo on my iPhone! Photo of the week #80 – Saturday was a very hot day in the UK and we decided to venture into Brackley – where I couldn’t help but notice this red and white, ’66 Split-screen camper parked outside two estate agents in the town centre. We parked near by so I was forced to take a few photos on my iPhone. You don’t usually see many air-cooled VWs around but the sun seems to bring them out of hiding, which makes a nice change! 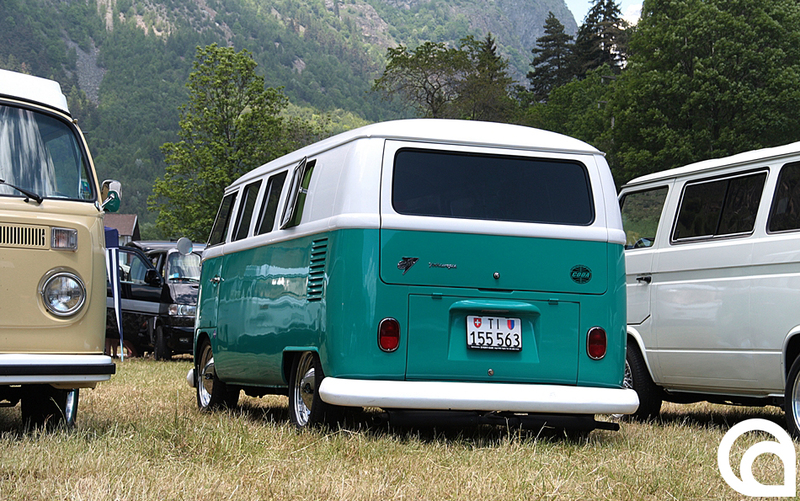 Clare Tarbox is a Milton Keynes based photographer with a particular interest in Volkswagens – She owns several! 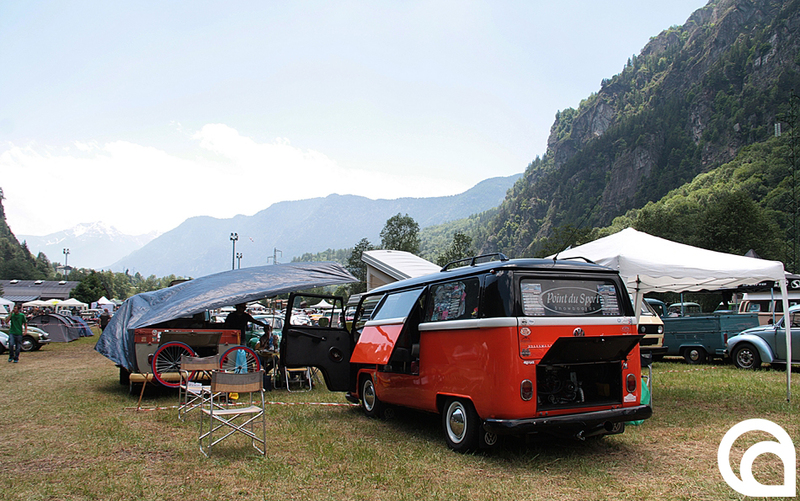 A regular contributor to Ultra-VW magazine, her coverage of VW shows and drag racing action includes some fantastic pictures which really capture the spirit of the Volkswagen scene. I’ve picked just a few of her brilliant VW drag-racing shots to showcase her work here. 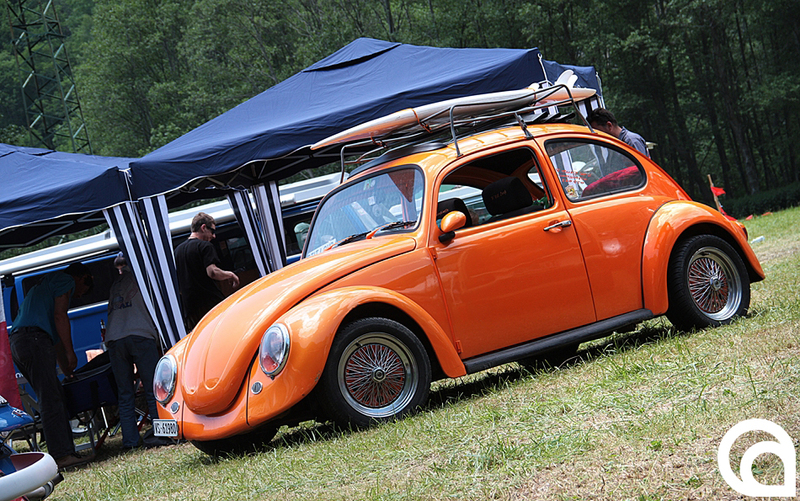 Photo of the week #79 – This beautiful cream 1962 Sunroof VW Beetle was for sale at this years Stanford Hall VW show. I love the whitewall tyres but, if this were mine, I think I would prefer to put the suspension back to standard height! I popped along to this years Stony Stratford Classic Car Festival last Sunday morning and this time, as it was looking like it would be nice and sunny, I took my ’55 Oval Window Beetle out for a drive. By the time I got there at 10am, the market square, which was home to all of the pre-1975 vehicles, was just about full and I was directed into the car park behind the health centre. Funny how the 3 nice, shiny E-Type Jags which arrived just after me were found prime spaces right at the entrance to the car park! Photo of the week #76 – Another original paint VW bus for sale at Stanford hall, this time a weed-hugging early bay window camper.